Wish is a luxurious collection of wedding stationery, sumptuously layered with ribbon and pearlescent card. The Wish order of service beautifully echoes both the style and colours of your wedding day and provides a wonderful keepsake for you and your guests. All handmade orders of service are carefully crafted using 285gsm lustrous pearlescent card and finished with elegant satin ribbon. 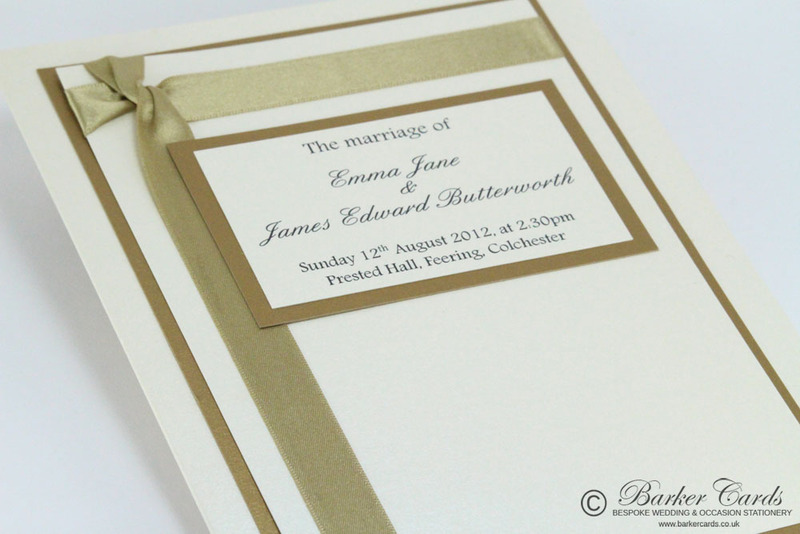 They are printed with your chosen wording and are fully personalised with laser printed pearlised inserts. 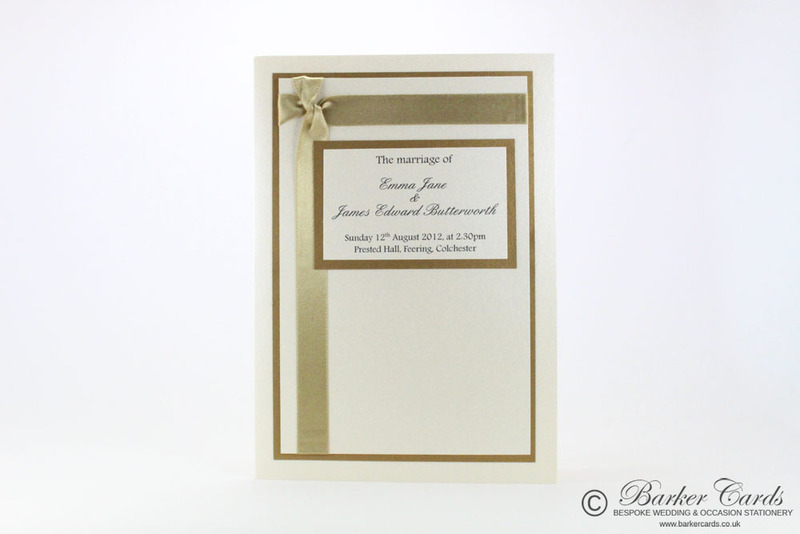 The order of service example shown is made using Cream and Antique Gold pearlescent card and Straw satin ribbon. Insert paper is cream. and to order using product code OOSW02.